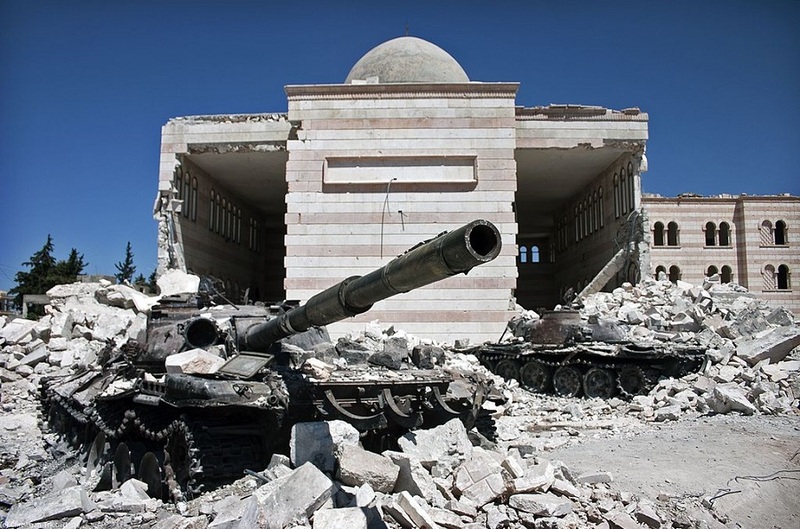 During the last 5 years, the International Monetary Fund (IMF) has analyzed Syrian Economy in the devastating and continuous domestic conflicts. In this year, IMF reviewed and issued this working paper released the outlook of Syrian Conflict Economy. According to this paper, Syrian economic, social and human developments has been set back decades due to the tragic and ongoing civil war. Nowadays, the Syrian GDP has decreased more than 50% of what it was before the 5-year war. And it is estimated that Syria needs more than two decades to rebuild their country back to the previous GDP level. Furthermore, it will be a monumental project to rebuild the devastated infrastructures. One of the most obvious damages is Syrian Financial Systems. IMF highlights that Syrian Financial System has been extremely affected by international sanctions and the civil war. The global banks have strongly isolated Syrian banks. In one hand, the international settlement systems and credit markets of most Syrian state-owned banks have been shut off due to international sanctions. In another hand, foreign banks have largely decreases their exposures to Syrian banks since the civil war starts. And the foreign banks froze all Syrian assets held in their countries which imposed the international sanctions. Moreover, the visible significant rise of financial crime activities and terrorist financial risk has damaged the Syrian financial system from the core. It was reported that Syrian government has reached an agreement with ISIS over the Euphrates Dam which is controlled by ISIS. And ISIS uses this area to receive technical assistances from Syrian government. Due to the sharp drop of Syrian economy and social developments during the civil war, it may be a new chance for global entrepreneurs to consider invest into their national rebuilding, of course, after the war finishing all over. To know more about doing business in Syria, visit the Healy Consultants Group PLC Syria company registration guide, or contact Healy consultants experts at email@healyconsultants.com.